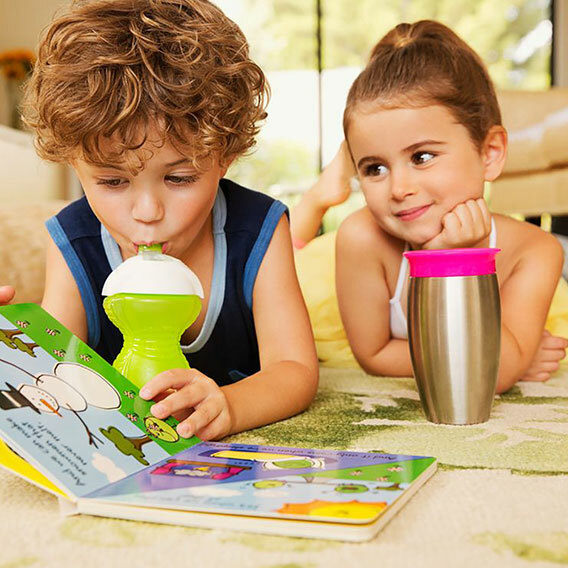 Miracle® Stainless Steel 360° Sippy Cup is here to "steel" your heart when it comes to sippy cups! Let's face it: toddlers are a messy bunch, especially when first navigating sippy cups. Now imagine a world in which drinks didn't spill at all-no, it's not a miracle— it's Munchkin's Miracle® 360° Cup.